At the end of 2014, with the ending of the Season 4 League of Legends World Championships, Korea once again remained victorious, Samsung Galaxy White holding the Summoner’s Cup aloft in their home soil in the Sangam Stadium located in Seoul, South Korea. A true peak of the game and scene in its earnest led question to whether or not Samsung White was the greatest team to ever play the game, putting them side by side to SK Telecom T1K who had so dominantly become a top team the year prior. In the end, a knife was put to that dream of an extensive rivalry. Chinese businessmen ate up many of the top Korean players and took many of the top players, offering them million dollar contracts. With the departure of players from the powerful KT and Samsung Organizations, along with the new announcement from KESPA that Korean Organizations could only have one team, paved the way for new talent to rise, and a new era of Korean League of Legends to be born. Kyung-Ho Song, better known by his Alias – Smeb started off from very humble beginnings. His career began on the team Incredible Miracle in the Spring Season of OLYMPUS Champions Spring 2013. His first season looked lackluster, his team only winning a total of 3 games, getting trounced by the famous CJ Entus Frost and KT Rolster Bullets who would go on the rise throughout the year. IM would end up splitting BO2 sets 1-1 with NJWS, AHQ KR, and SKT T1, a team then captained by Reapered, a legendary Top laner. Beating him could be seen as one of Smebs biggest accomplishments that season. Smeb’s first season of Champions was grim. The level of competition with top laners such as Flame, Shy, Repeared, Ssumday was very high and neither Smeb, nor his team at the time was up to their level. Summer 2013 would bring in his teammate Reignover who would go on to later become FNATIC’s jungler in 2015 and an even worse season for IM. Reignover subpar performance in the team would only serve to hinder them, and Smeb suffered under the pressure. Incredible Miracle would go 1-5 in the group and end in last place. Smeb failed to find an identity as a top laner once again, playing 6 different champions in the group and struggling to see success on one particular style. His one win on Lee Sin came in surprising fashion against KTB where he ended with the most gold in the game as well as a tie for the most kills, showing a dominating carry performance. However this would be the end of Smeb’s career in 2013 with two failed Group Stages and a 4-12 record making for a petrifyingly bad 25% winrate. 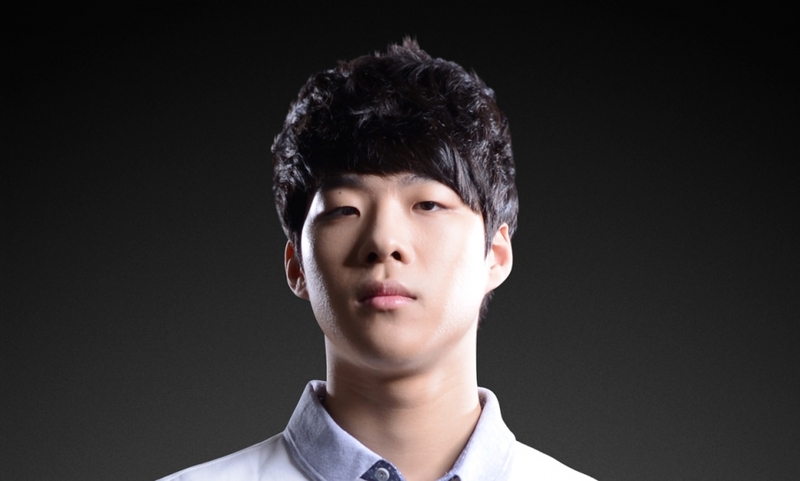 2014 would be even worse to Smeb. IM would rotate the roster multiple times, and petrifying performance after performance, Smeb would be one of the weakest top laners in all of OGN that year. He would play a total of 22 games in 2014, in Champions Spring and Champions Summer, as well as LOL Masters and NLB, where he would end with a 7-15 record, an even worse record than his year before with a 31% winrate. He would fail to qualify for Champions Winter and with that, Smeb’s career looked over. OGN would get a very rare glimpse at a carry performance when he took down feverishly strong top laners once in a very blue moon. However this not enough to show any kind of stability for the remainder of his career. Smeb was, by all means, one of the worst top laners to ever play in the most dominant region in League of Legends. However in a dynasty that looked to be blasted apart by the exodus at the end of 2014, Smeb’s luck was about to change, and a new team was about to be born. It was time for Smeb to stop being a cub and be seen as a tiger. A grim career winrate, a very unpromising carry, never the skill to supplement it…Those were probably thoughts on Smeb’s mind as 2014 ended and the formation of a new team, the Huya/GE/Koo Tigers, all made of dropped “rejected” players from IM and Najin. Smeb would join the team with Jungler Lee (Later namechanged to Hojin), Mid Laner Kur0, ADC PraY, and support GorillA. The team would be coached by former NJWS Jungler Nofe. Almost no expectations were on this team, most eyes on GorillA, the star support player of Najin White Shield that had made worlds the year prior but had faltered in the Quarterfinals and saw an early exit. PraY had been seen as a “washed up” player in some people’s eyes but by opinion was still a skilled ADC in his own right. Most eyes were on the “Incredible Failures” Kuro and Smeb who had failed to perform for 2 years on IM and how they perform with their botlane and honestly made the new team “laughable” with thoughts of how they would crash and burn. The newly formed then Huya Tigers played in the qualifier and went 2-1 along with IM and qualified for Champions 2015, Smeb being one of the noticeable performers having the highest Kill Participation and heavily outcs’ing his opponents in both games that he won. Heads were beginning to turn. It was at this time, when 2015 began, that Smeb would finally be unlocked after two years of being punished by stronger top laners. Korea was still not short of good top laners such as Marin, Ssumday, TrAce, and Duke still prowled the scene with a struggling Shy ripe to have his legacy torn apart. This year was a year for Korea to evolve and adapt and Smeb was on the perfect team for adaption. Koo were the most innovative team in 2015 by far with the introduction of several champions and composition into the metagame, including the Juggermaw which was a widely used composition in the back half of Spring 2015 in all regions. Huya had a satisfactory preseason, tying for 3rd place along with KT Rolster while only dropping one full set to the new roster of SKT, but beating the new merged rosters of CJ, Jin Air, and splitting with KT. Smeb would play 5 champions in their 8 games and showcase a very powerful carry performance in wins, going +100 cs on his opponents (often seen as The Flame Horizon) and impressively having one of the Highest Kill Participations of all top laners in the preseason. Smeb’s powerful laning and teleport usage made him a legitimate threat, his only rivals being Marin and Ssumday, the others who would evolve to become the best top laners in Korea in 2015. Spring Season would begin and the Huya Tigers would be renamed to the GE Tigers. After a strong preseason for a new team, fans were wondering if it was just a fluke. The Tigers would go on to win 11 BO3’s in a row, dropping only two games out of twenty four before they would eventually fall to KT in the regular season, even defeating SKT in the first round robin. GE Tigers were poised to be the best team in the world and Smeb was seen as a true hard carry, a COMPLETE 180 performance from his previous years. Since GE was first seed by the end of week 6, they would be invited to IEM Katowice. The team was going international. Every road has its obstacles, and after working so hard to climb to the top Smeb was about to be knocked back down. At the IEM Katowice tournament GE Tigers were seen as one of the top contenders to win, they expectedly stomped their group, with Smeb hard carrying against Cloud 9 and the intimidating SK Gaming, led by newly acquired Forg1ven. Sadly there was no B05 between the two teams which would have likely been one of the most exciting BO5’s of the year, as the group stage format only allowed for BO1. Shockingly, GE would fall 2-1 to China’s Team WE, at the time the lowest ranked team in China. It was possibly the biggest upset in League of Legends History. The tigers went home humiliated and Smeb went home without the trophy and his worst performance of 2015 yet. What made Smeb’s performance in the regular season even more amazing was his deep champion pool. He played multiple games throughout the season on Maokai, Lissandra, Rumble, Gnar, Lulu, and even occasional one offs such as Kassadin, Hecarim, Kennen, and Doctor Mundo, all of which he had a winning record on during the course of the split. The finals would come and before Smeb could even blink, GE had lost 0-3. What made this loss so humiliating was that T0M and Easyhoon, SKT’s sub players played in the match instead of their starting players. Faker didn’t even need to set out onto the Rift and Smeb went home without a trophy once again, again. He was utterly dominated by Marin in the last five games they faced off. GE sadly sat at home and watched MSI, their creative approach to pickban and powerful top lane style left to the wayside for the powerful macro style of SKT. A Struggle in the Summer? Summer introduced 2 new teams to OGN/LCK, Anarchy and SBENU Sonicboom, expanding the league to 10 teams. Neither of these teams would provide much besides being beatsticks for the other teams (Anarchy showed some promise in their midlaner Mickey). GE would rename to Koo Tigers after another sponsor swap and the team would bring in substitute Jungler Wisdom to share playtime with Lee, who renamed back to Hojin. The summer was rocky at the start for Koo, dropping the first set to Najin and having a rather subpar first 3 weeks, only beating the previously last place Samsung Roster which was still struggling to find a way to make their new team work. It looked lost for Koo and Smeb and the magic of their spring season seemed to indeed be gone. Smeb seemed to do well in their wins but in the losses seemed like more of a liability. It might have been a fluke and that spring 2015 season might have just been a glorious dream. But Koo pushed forward, surging out of their slump, winning the next 8 BO3’s in a row only dropping one game to Jin Air out of the 16 games they played. Koo roateted in Hojin and Wisdom and found new strategies and innovative styles that could secure them wins. Smeb would bring out Nautilus, Ryze, Fizz, and his now famed Riven, which would make him the first top laner to score a Pentakill in OGN history. Smeb seemed to have no limits to his champion pool, being incredibly stable on the meta picks and looking stronger as the season went on while being able to revert to these not as standard picks seemingly at the bat of an eye. However once the streak came to an end, Koo stumbled just as they had the split before.They had lost most of their momentum and only beat Sbenu Sonicboom and Anarchy, the two worst teams in the league. These wins secured them a playoff spot in 4th place, lbut it looked grim. A revitalized KT Rolster with their new support Piccaboo’s aggressive ward heavy playstyle, and Najin who had defeated Koo in both matches of the Summer Season stood in Koo’s way. Playoffs would be a gauntlet for Koo. Going in as the 4th seed, they would have to play a BO3 for the final playoff spot with Najin, the team that had bested them both times in the regular season. Duke was one of the prime rivals for Smeb over the year but shockingly, Koo would take the match 2-1. Their next opponents were CJ, which even more shockingly, the Tigers rampaged through 3-0, not even giving them a chance to blink. Smeb and his team were revitalized. KT, where in a slugfest of a series the Tigers finally fell in the blind pick game 5. During most of the series, Smeb was outclassed by Ssumday, getting out farmed in nearly every game (once even by over 200) but Koo’s strategies and deep champion pools gave them much headway in the series. Even with the loss, Tigers were guaranteed to go to worlds if KT lost to what looked to be an invincible SKT who dominated the season with a 17-1 BO3 record. KT would fall, and with that loss, KOO secured a trip to the World Championship on circuit points. Smeb would get a second chance after the failure of IEM to show the world his greatness. Koo would be drawn into Group A and would be judged by the west as one of the weakest Korean teams to ever go to the World Championship. With a group of Pain Gaming, Flash Wolves’, and Counter Logic Gaming in front of them, a single loss would look devastating to the pride of the Koreans. Smeb was in a group with weak top laners, Steak judged as one of the worst top laners in the entire tournament, Brazillian top laner Mylon, and Zionspartan, who was looking strong in North America on certain champions but hadn’t been tested in a strong field yet. The competition was mediocre. During the Group Stages Smeb was unable to heavily punish Steak. Koo was able to dismantle CLG and Pain in 4 brutal games that looked very clean but seemed to struggle when playing the Flash Wolves’ chaotic style. Smeb’s Utility focused Frozen Mallet Gnar and powerful carry oriented playstyle on Darius crushed the opposition, making him a true juggernaut. Koo would shock everyone by dropping both of their games against the Flash Wolves’ in the Group Stages, giving them a tie with a 4-2 record but second seed in the group. The biggest obstacle in Smeb’s way was his biggest carry top lane rival, Ssumday. While Marin captained SKT throughout the year, Ssumday and Smeb had demonstrated far more depth and overall carry potential and were the most distinctive rivals of the entire world championships. It was brutal looking on paper, KT’s group having been seen as one of the hardest groups in the tournament and Ssumday was their best performing player in every single game, even in KT’s loss to Origen Ssumday had went 5/0/1 on Olaf and managed to control Soaz for a majority of the game. Smeb was looking bleak after his rocky two losses to FW. Right out of the gates KT took the first win against Koo, Smeb playing Fiora in the first game. But instead of backing out of it, Koo allowed Smeb to play the champion again, where he utterly destroyed KT and Ssumday, playing it in all 4 games and leading to a 3-1 finish for Koo. Smeb had defeated Ssumday and proven himself to have the team and the skill to pilot around such a powerful opponent. With confidence and new strength, Koo advanced to the Semifinals to face European favorites, Fnatic, who had just dismantled their own opponents EDG in a 3-0 quarterfinal. Many expected Fnatic to be able to challenge SKT, who were the favorites to win the tournament. Huni was praised as a fan favorite but had like Smeb, looked shaky in the group stage at some points. The two teams took to the rift and Smeb locked in Riven, a champion that both players were known to be very good on. He utterly crushed Huni in the first game before the rest of Koo dismantled Fnatic piece by piece. In game two,~ Smeb showed his beautiful mastery of Fiora, once again laying waste to Huni who chose riven for himself that game., demonstrating Smeb’s incredible knowledge of the matchup. In game three, Smeb picked Hecarim. He gets ganked one vs three. He comes out alive with a kill on Huni. Fnatic were broken. Smeb smashed not only huni, but the whole series, and stood triumphant with his team as they secured their ticket to the finals. Over the course of the year, Smeb had played 22 different champions, an absurd number going into the World Finals indeed. At the end of the tunnel is Faker, the greatest player in the world, along with Marin, the only one left to challenge Smeb for the title of best top laner, with his smaller pool of 14 champions played throughout the year. He trounced Ssumday, left Duke in Korea, and this year is the year. Smeb’s career has gone from an Incredible Disappointment, to an Incredible Miracle as now he stands poised with the possibility to become the best player in the entire world.